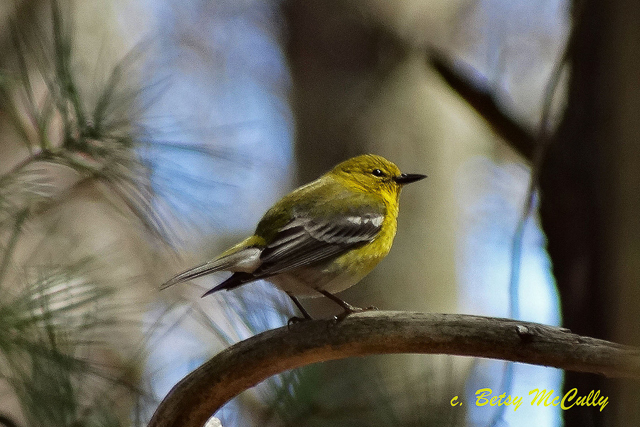 Pine Warbler (Setophaga pinus). Male, breeding plumage. Forests. Breeder.